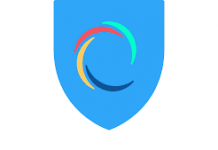 KeepSolid VPN Unlimited Review 2019: Is it Excellent at Security? 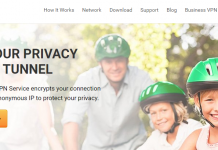 Home Trending KeepSolid VPN Unlimited Review 2019: Is it Excellent at Security, and Streaming? In the 21st century, our online security and privacy are no longer guaranteed. What with increased Government and ISP spying, hackers and identity thieves on the loose? Not to mention the increase in internet censorship and enactment of stringent invasive privacy laws across the globe. Our only option? Investing in a competent VPN service like KeepSolid VPN Unlimited. Hang with me as I share with you the core features of the US-based VPN service as regards issues like usability, performance, security, privacy, server locations, among others. If you’ve noticed, I like beginning my reviews by checking out the website of a VPN Service. First impression matters. The kind of experience you get when you visit a VPN’s website and the content served takes centre stage as a contributing factor whether to subscribe to the particular VPN or not. 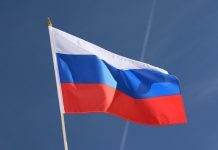 For reviewers, I included, we get a feel of the VPN, we get to understand what they claim to provide, and then we proceed to an adventure of finding out whether the VPNs claims are valid. If we don’t begin here, the rest would be a fishing expedition! My first instance with VPN Unlimited website triggered a positive feeling. The VPN features a user-friendly but straightforward design. It is easy to navigate and is full of only relevant information. The color scheme is also professional so that you get a feeling that this could be it. How compatible is VPN Unlimited? Compatibility brings about convenience to the users of a VPN service. To the VPN service, compatibility increases the reach and thus the more compatible the VPN, the higher the chances of growing subscriptions. On this front, VPN Unlimited is quite impressive as it is compatible with all the major platforms. From Windows, Android, iOS, Linux, macOS, and Windows Phone. You also get Firefox as well as Chrome extensions. How many connections do you get using KeepSolid Unlimited VPN? VPN Unlimited allows simultaneous connections up to 5 devices using a single account. So you can connect to any of your devices such as desktops, laptops, mobile phones, tablets, and any other devices. The number of devices a VPN allows using a single account is among the factors many users take into consideration when choosing a VPN service. In case you need to connect to more than five devices, VPN Unlimited adds you more connections at a fee. The problem here is that the competition on the number of devices allowed by VPN services is getting stiff by the day. NordVPN provides its users with six device connections, CyberGhost up to 7 simultaneous connections, and I’ve recently learned that IPvanish is allowing up to 10 concurrent device connections using a single account. VPN Unlimited offers to its user’s three main plans, i.e. the monthly plan, one year plan, and the lifetime plan. The monthly plan is billed at $9.99/month, the yearly plan at $5, and a limited Lifetime offer at $199.99. The pricing is flexible enough to cater for all kinds of users. For those who’ve tested the VPN Unlimited service and are happy can sign up for the Lifetime plan. Its also good economic sense to take advantage of the limited time offer and save big. Instead of paying $499.99, you get the LIFETIME deal for only $199.99 and protect all your online activities and data for a lifetime. All the plans come with all the VPN Unlimited features. I usually advise my readers to go for a VPN service that offers a Free Trial or money-back guarantee or both. That’s the only way you can test a VPN service and get to know whether their claims are valid or not. So any VPN service that does not give a Free Trial or money-back guarantee is a No. In fact, try to keep as far away as possible. VPN Unlimited offers its users 7- days free Trial period. You can utilize the trial period to test and find out if VPN Unlimited is suitable for your needs before committing. Currently KeepSolid VPN Unlimited is running a special offer 50% off on their lifetime subscriptions whereby you get 5 devices at $99.99 instead of $199.99, and 10 devices subscription to VPN Unlimited drops from $299.99 to $149.99. That’s a huge save for anyone looking for a secure VPN at a budget. Server locations, as well as the number of servers a VPN provides, is among the ingredients you should always consider before committing to a VPN service. First, having many server locations empowers you to unblock a wide range of Geo-restricted services. For instance, to unblock Netflix US, you need to connect to a VPN server in the USA. Similarly, to access BBC iPlayer, you need to connect to a VPN server in the UK. Thus, a VPN with widest server location broadens your possibilities. Secondly, it’s the issue of speed. Connecting to the nearest server results to fast speeds. Therefore when choosing a VPN, you had better watch out for the number of servers and server locations of the VPN service. VPN Unlimited provides you with over 400 servers that spread across more than 70 locations including UK, USA, Canada, Japan, Australia, HongKong, to name but a few. Before looking at the logging policy of a VPN, it is wise if we, first of all, establish the location of the VPN service. The location of a VPN service is also among the factors to consider when choosing a VPN. Some VPN locations are hostile and have invasive privacy laws. Also, the 14 Eyes region should raise your eyebrows. I mean regions like the US, it’s in the public domain that they do exercise massive surveillance. Canada is another 14 Eyes region with hostile privacy invasive laws. If you want to know how a location can affect a VPN service, a good example is the TunnelBear VPN. 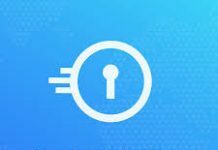 An excellent VPN service based in Canada. Because of their location, they do not permit P2P File sharing, and they do not also work with Netflix because of the Canadian copyright laws. VPN Unlimited is a US-based VPN service-a subsidiary of Keepsolid. Now that kind of location troubles me a little bit. The Snowden revelations exposed the US as an intensive surveillance region. Anyway, what do you expect of a region laden with the NSA and CIA? US is also a member of the UKUSA Agreement (a multilateral treaty for sharing intelligence between the member states with the sole purpose of spying on citizens). Be that as it may, we now have to ask ourselves, does VPN Unlimited log its users? They use the information to authenticate their users and also to provide their services to the user. This way, you can receive messages such as notification of changes in their service, maintenance as well as promotional material. You also provide billing information at the time of purchasing. For a VPN service based in the US, not keeping logs is very important. It would mean that should they receive a subpoena to release your records; they won’t have any to give. Which Protocols does Keepsolid VPN Unlimited Implement? VPN Unlimited provides its users with robust security. They implement OpenVPN on Windows and Android by default. Internet Protocol Security (IPSec) is the standard protocol for iOS and OS X. KeepSolid VPN Unlimited uses both 126-bit and 256-bit encryption. The two are military grade and thus impossible to crack even for the NSA. In fact, they are the same protocols used by the USA government to protect their sensitive data. Keepsolid VPN Unlimited exhibits above average speeds in my various tests. It maintained an average of 55 percent of my base internet speed testing from various locations. I was able to stream Netflix, Hulu as well as BBC iPlayer in HD quality without buffering at all. The VPN is also helpful in dodging the rampant internet throttling by ISPs. I subjected KeepSolid VPN Unlimited to several tests at https://ipleak.net trying to establish whether the VPN leaks. The results: No DNS leaks, but WebRTC leaks present. WebRTC is enabled by default in Firefox, Chrome and opera. However, webRTC can be disabled in all browsers. So after disabling webRTC from my Chrome browser. I went back to https://ipleak.net and the test for webRTC leaks was negative. I’d advise you to sign up for VPN Unlimited Free Trial and test for the leaks at https://ipleak.net. Does Keepsolid VPN Unlimited work with Netflix? Netflix is arguably the largest streaming service in the world. Indeed they have a massive library of movies and TV shows. However, due to content licensing policies, Netflix is not able to provide its full content in all regions. 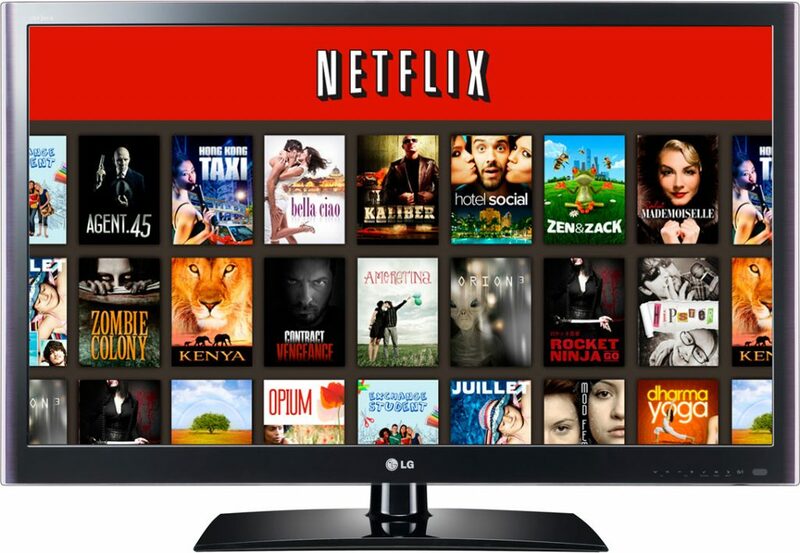 The US Netflix library is enormous and allows you to watch 1,081 TV shows and 4,579 movies. Due to exclusive rights to stream content, you find that other countries are limited on the number of shows accessible to them regardless of having a Netflix subscription. If you are in Canada, you can watch 629 TV shows and 2,942 movies. 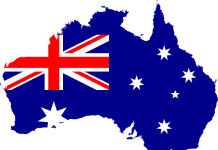 The number drops down further for Australia at 347 TV shows and 1,414 movies and reduces drastically for Africa with South Africans only accessing 203 TV shows and a paltry 477 movies. Keepsolid VPN Unlimited Works with Netflix. I was able to access the full US library on some of their servers. I had no problem accessing BBC iPlayer as well as Hulu. So for ardent streamers, you can bypass Geo-restrictions by using VPN Unlimited. China is among the countries in the world that exercise massive surveillance. They have the Great Firewall of China-an enormous surveillance and internet censorship project that regulates the internet domestically. The Great Firewall of China is a topic in its entirety. In brief, the project consists of both political and technological actions aimed at regulating the internet usage. Some of the methods used are IP blocking, DNS tampering and hijacking, collateral DNS damage, and Deep Packet Inspection among others. KeepSolid Wise is VPN Unlimited obfuscation or stealth mode. It’s an extra layer of security that protects you not only against government surveillance but also internet throttling by your ISP. I know you are wondering how it works? KeepSolid Wise technology works by disguising your VPN traffic by making it appear as regular HTTPS traffic. This way, it becomes undetectable by Firewalls including the notorious Great Firewall of China. Other countries that exercise massive surveillance and internet censorship include Bahrain, Belarus, Syria, Iran, Cuba, Russia, among others. You can successfully use Keepsolid VPN Unlimited to enjoy your internet freedom notwithstanding the internet censorship in such regions. VPN Unlimited support is mainly via an email ticket support. There’s a form on the support page of the website where you can click, insert your name and email and your question. I tried out the service on several occasions, and the response was quick. To be precise, it took like twenty minutes. Moreover, the answer was on point, knowledgeable and polite. They also avail helpful guides and tutorials through a comprehensive FAQ. In fact, it’s one place you can get valuable set up information. You can also send them a direct email with a response time of less than an hour. Should you get stuck while setting up the VPN on your device, there are excellent setup manuals readily available for your consumption. Business VPN is the simplest way for small and mid-size businesses to protect their data. You choose your plan and send invitations to your members. Your members need only accept your invites, and they are good to go. 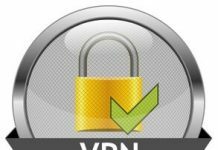 Business VPN protects their devices. I like the fact that the members can run Business VPN on any platform and exchange sensitive data through an encrypted VPN tunnel. It makes it easy for employees to work remotely without the fear of sensitive data leaking to unauthorized third parties. So how does your business benefit from Business VPN? Besides, you can request for a 7- days absolutely free trial.